You're invited to my birthday party! 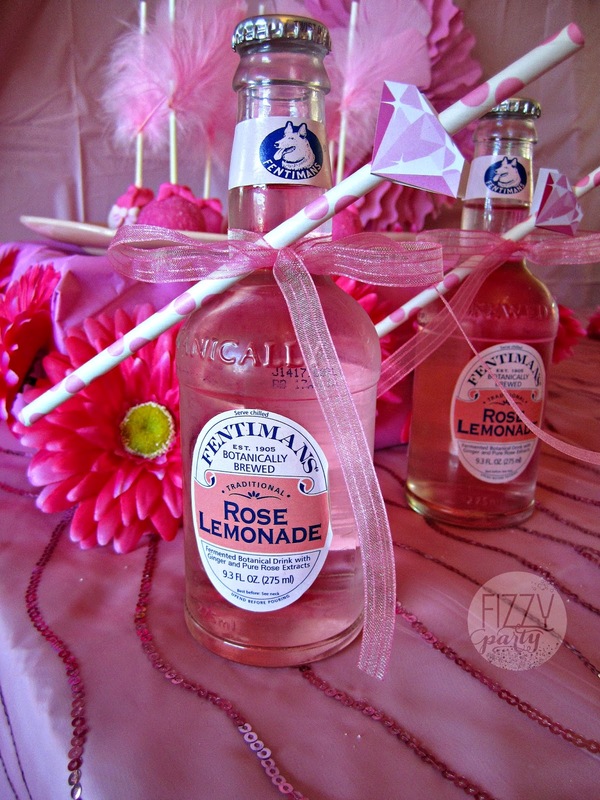 I found these perfect pink drinks at New Seasons, attached straws from Hoopla Events and added diamonds from the invitations created by Swishprintables. 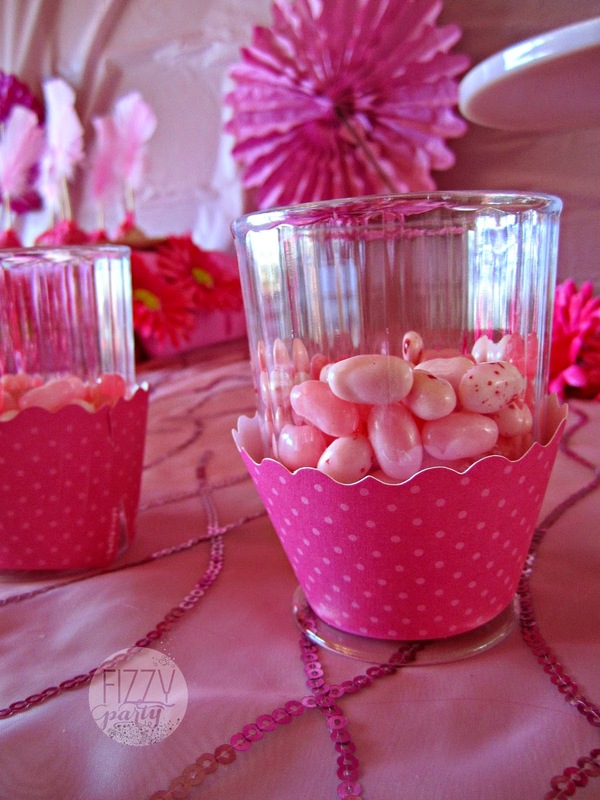 Mini cups dressed up with cupcake liners from Hoopla Events are filled with tasty pink Jelly Belly's jelly beans. 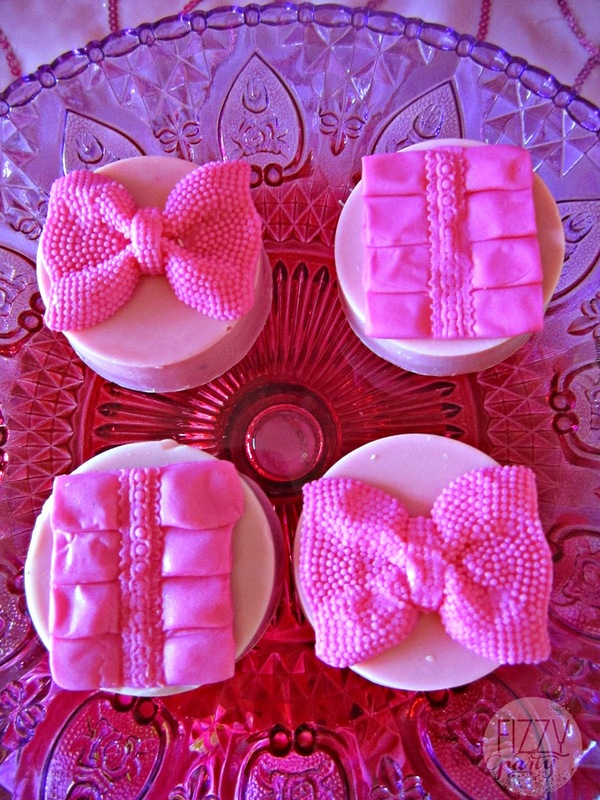 Extra sweet chocolate covered Oreo's by Kima Konfections. 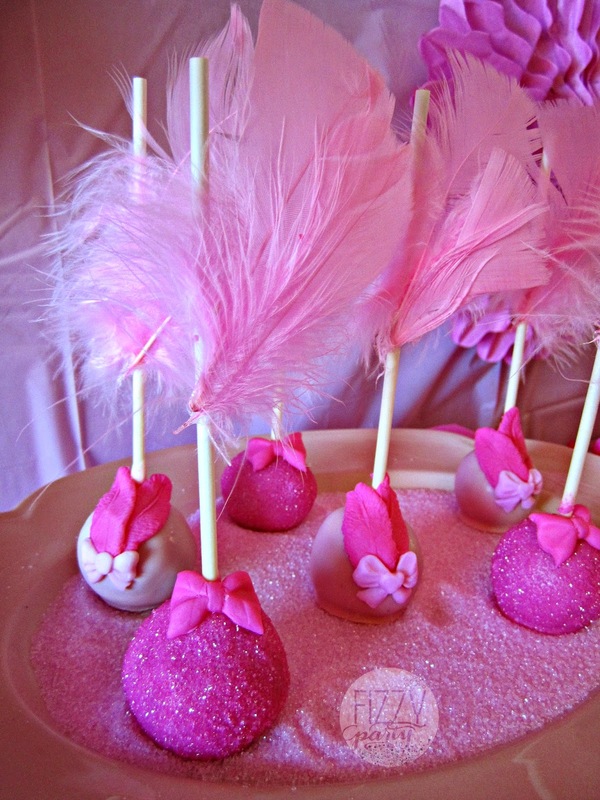 It was really hard not to eat these cake pops by Kima Konfections before the guests arrived. They smelled so good. Like strawberries. Of course we enjoyed them after lunch and they are so moist and delicious. 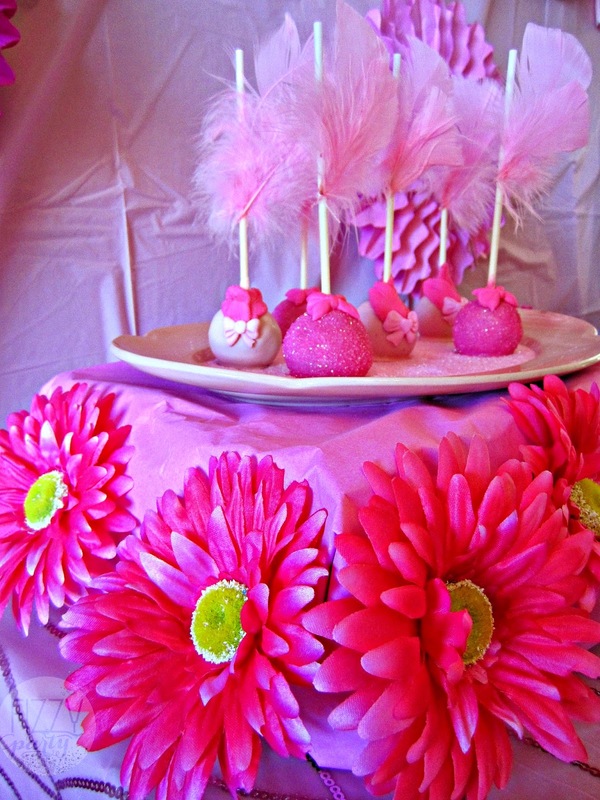 The night before the party I glued these feathers onto the cake pop sticks because I'm all about the details. 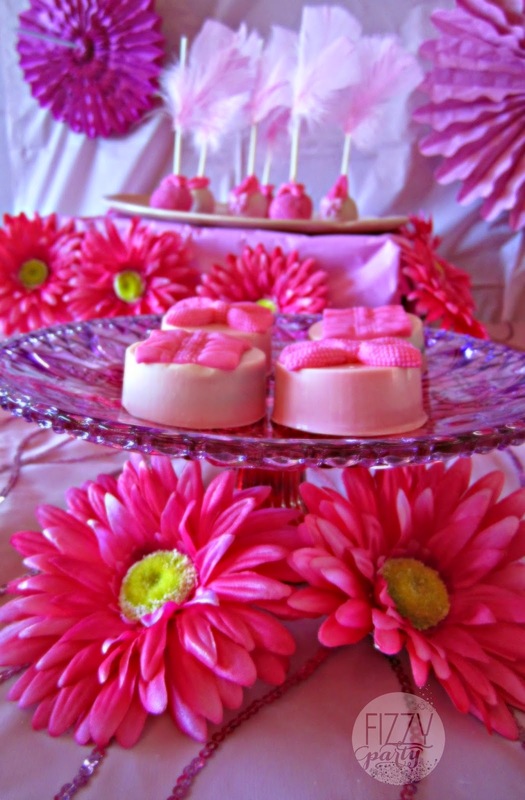 The cake pops look so pretty nestled in the sanding sugar on the platter from Vintage Mingle Rentals. It's just not a birthday party without cake. 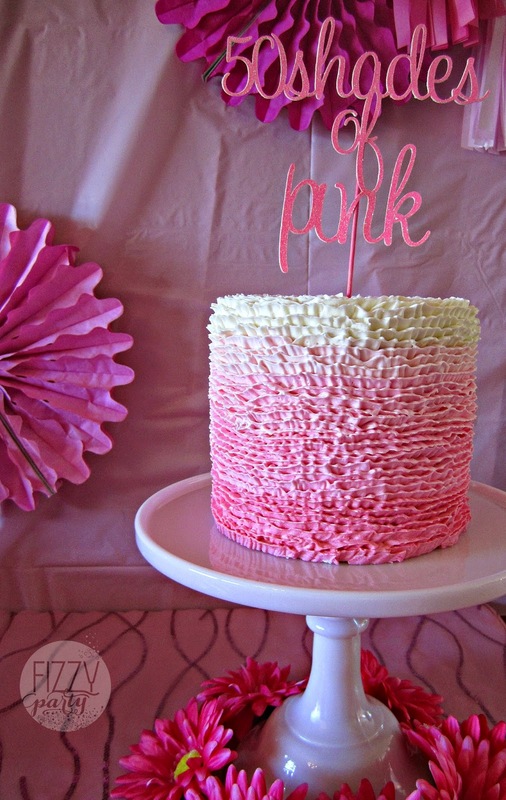 This fun topper by Bella Grey Designs was just perfect for the ombre ruffle cake by Dream Cakes. 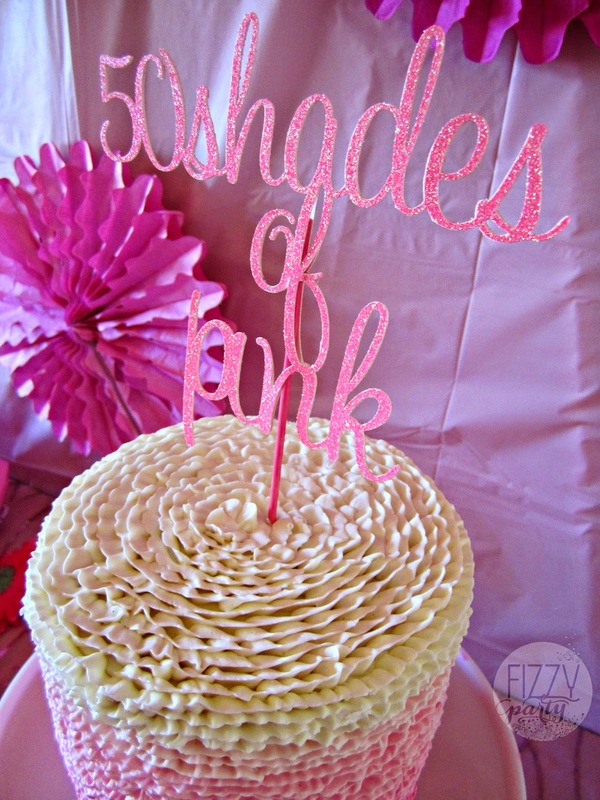 I just love how the cake looks on the pink cake stand from Vintage Mingle Rentals. The top of the cake looks like a flower. 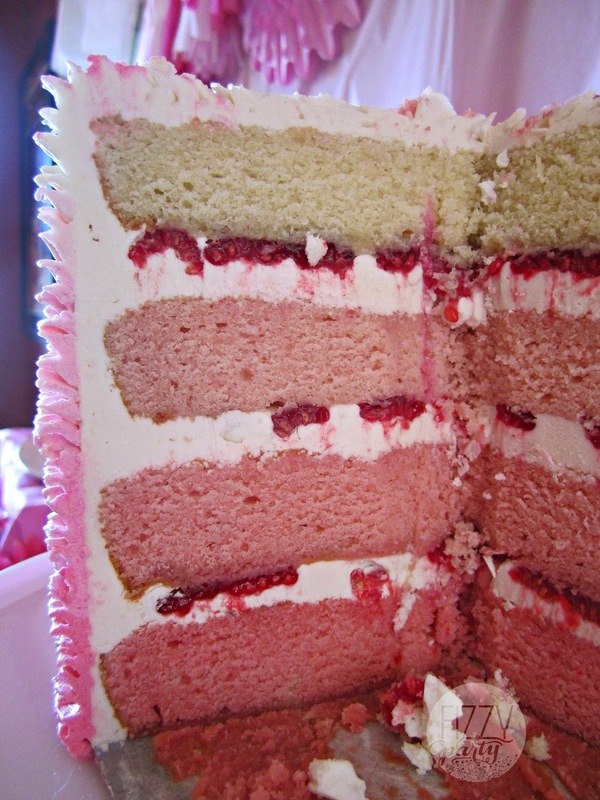 All of us were excited to see the inside of the cake. 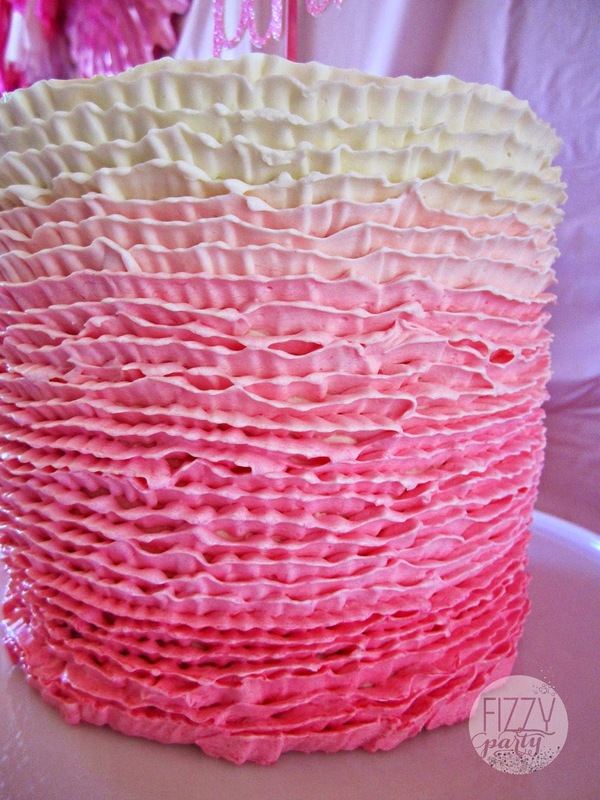 We all loved how Dream Cakes made the cake ombre to match the outside of the cake. The raspberry filling tasted like summer. Don't forget to stop by the favor table on your way out. 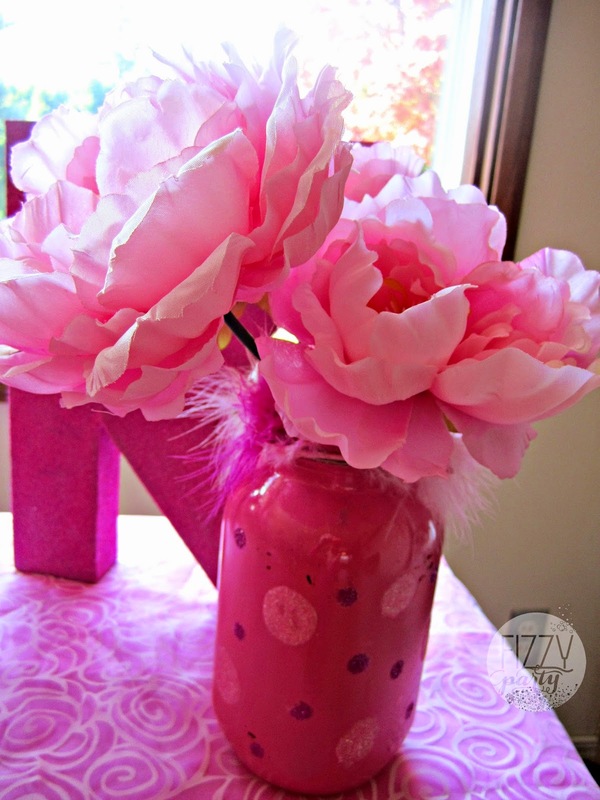 Fun mason jars from Always the Occasion for the favor table. 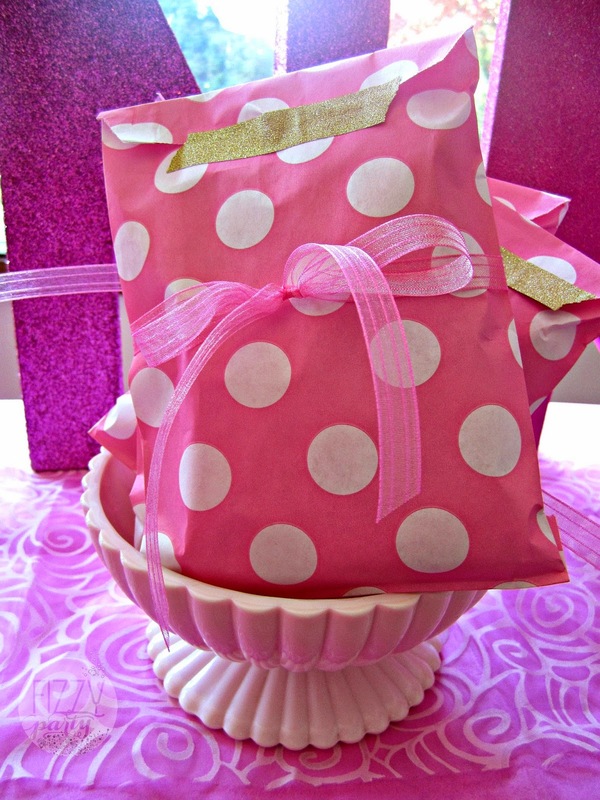 The light pink ribbed footed bowl from Vintage Mingle Rentals held the party favor bags from Hoopla Events. The bags were filled with little pink notebooks from Michael's and pink pens from Ecru Modern Stationer. 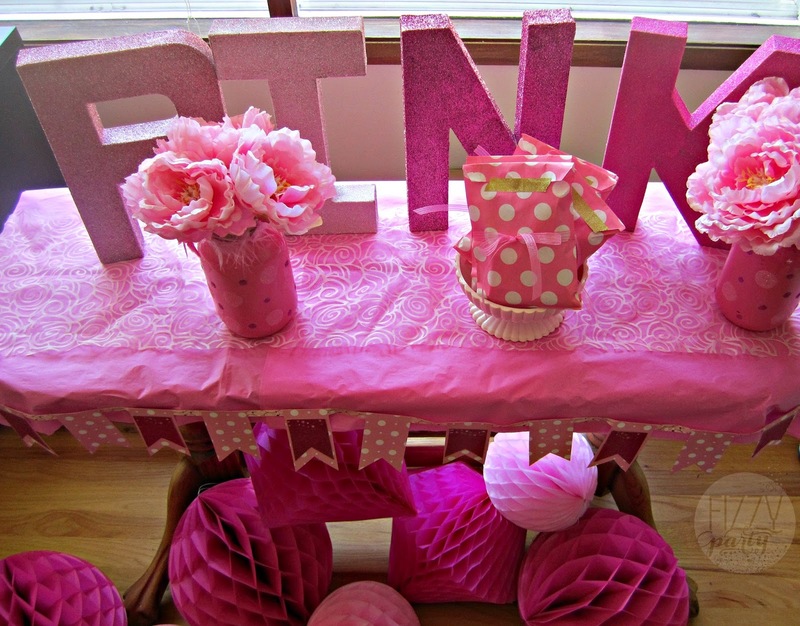 Fizzy Party- Styling, glitter Pink letters, and mini banner on the favor table. Bird's Party- Sparked the idea for the party. 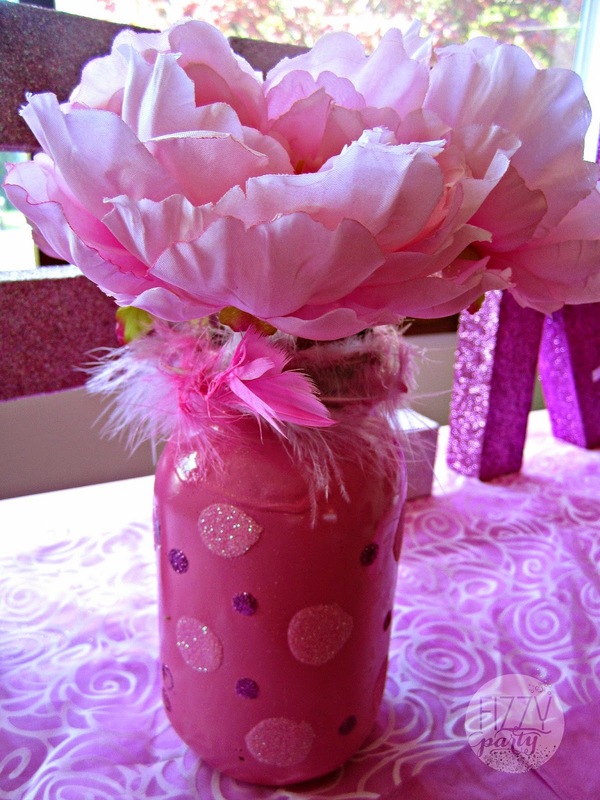 Hoopla Events- Straws, cupcakes wrappers and favor bags. Sweet Works- Gum balls and pearl candies. Kima Konfections- Chocolate covered Oreo's and cake pops. Wow! 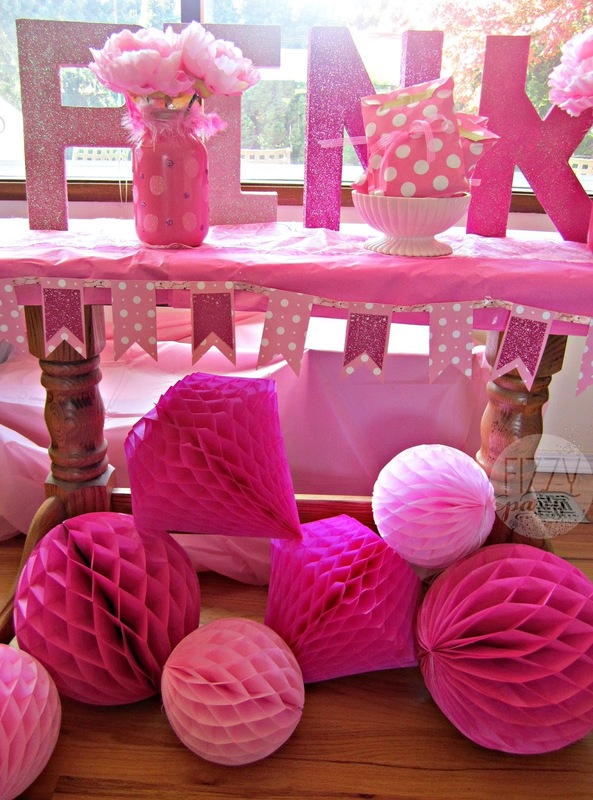 You really nailed your theme through the decorations and treats! 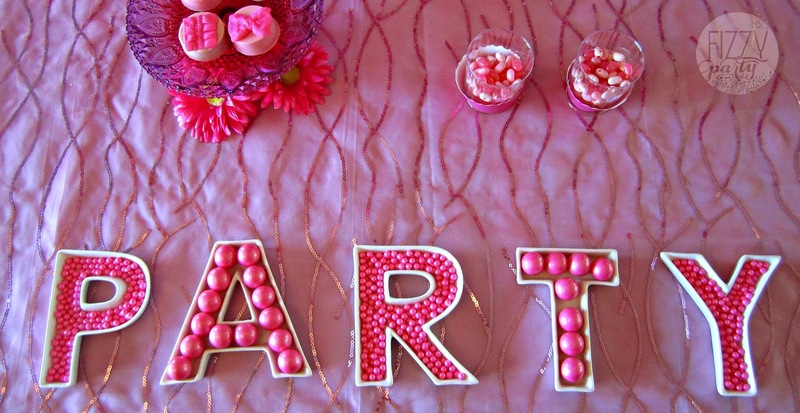 Such a fun party and theme! 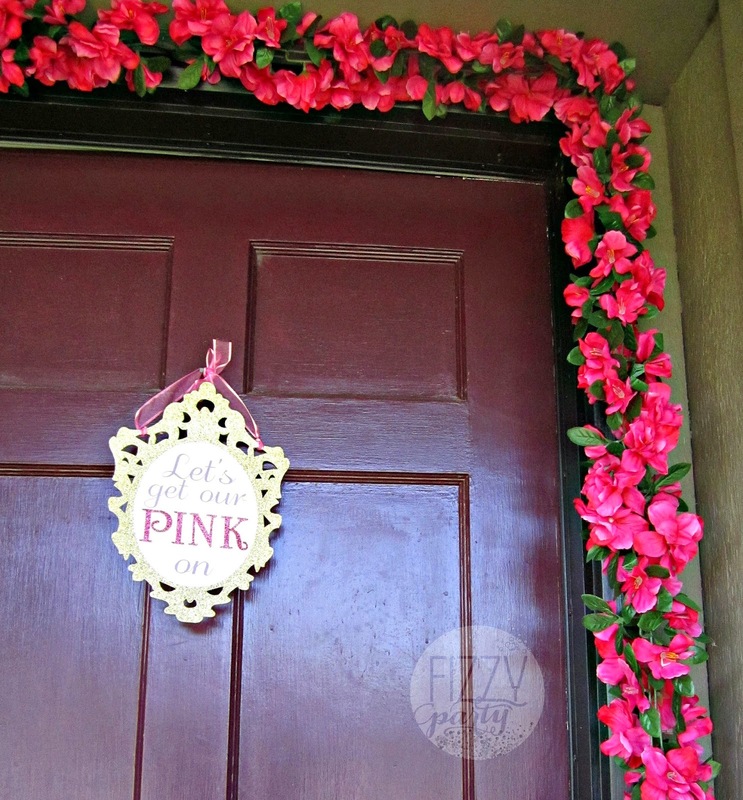 Thanks for allowing me to create the invitations (and little signs). 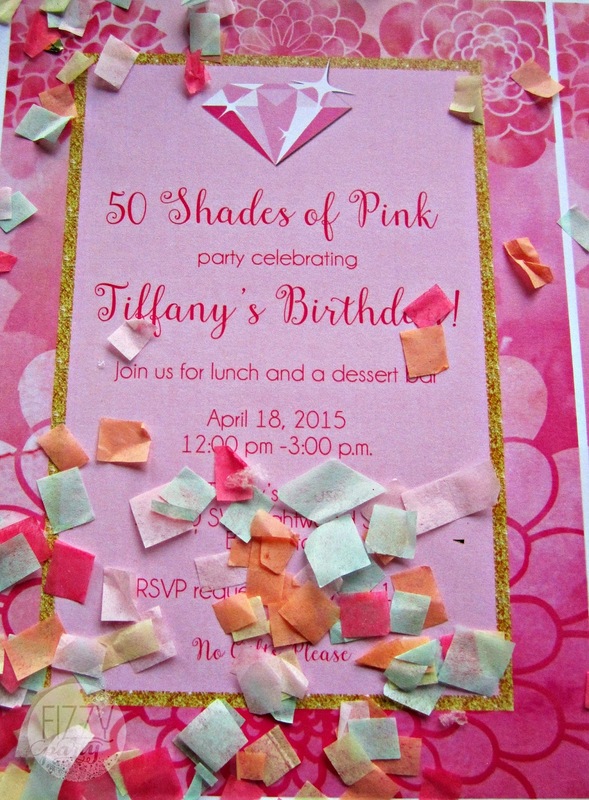 Tiffany, you're party was a huge success, I can tell, you had so many amazing sweets not to mention the décor. And that cake, my oh my, I wish I had a big piece for breakfast! Thank you The Partiologist, it was! If I could send you some cake I would. It was delicious! Wish you could have come. Very pretty!! Where is the pic of the birthday girl??! Thank you Talia! ummmmm, yeah, we were too busy enjoying the rare gorgeous Portland sun in April to take any pictures of each other. What a fabulous party!!! So many fun details. Happy Birthday!!! Thank you A Party Studio! My guests had a lot of fun which made me happy. Wow, Tiffany! How pretty! Happy Birthday!!! 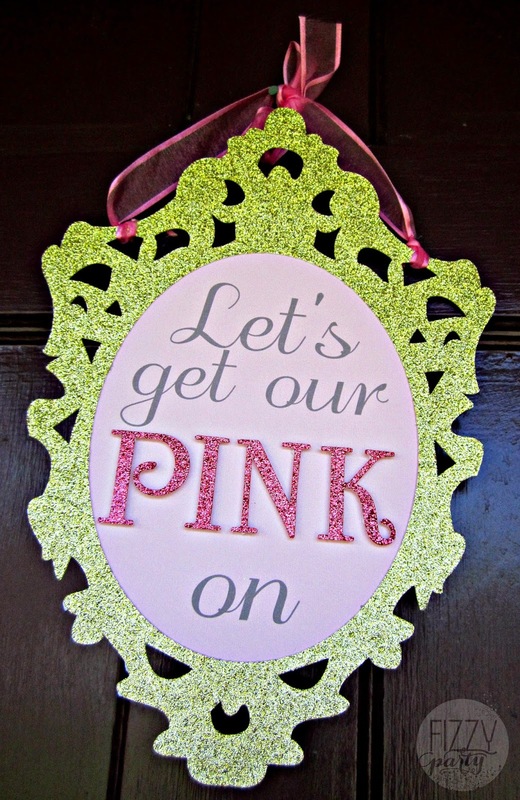 Love the theme!! Thank you Party Wagon!!! It was a fun theme.